By guest columnist Irene Ogrizek. 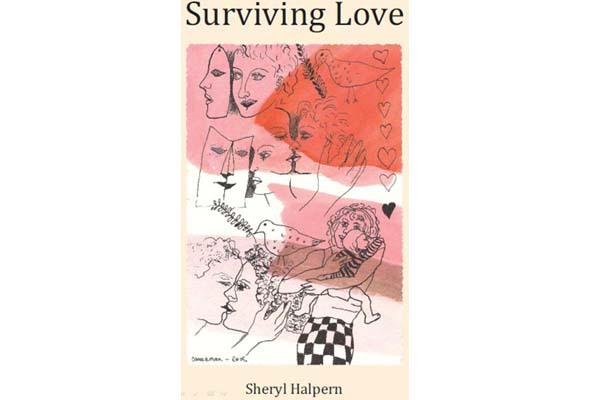 Sheryl Halpern’s collection of 19 short stories, Surviving Love, features characters who misplace their children, play desperate texting games and manage—with varying degrees of social deftness—eccentric cousins, troublesome parents and terrifying trips to the mall. Love does not conquer all in Halpern’s world, unless, she hints, we can find ways to speak to and not at each other. In It’s About the Cat, a hapless family buries their cat in a spot off the roadway where it was hit. Between the shrine they erect and a misplaced pronoun, an investigation is launched—one that includes an excavation with a backhoe. Satirizing our North American preoccupation with crime television is Halpern’s aim here and, given the likelihood of the backhoe scenario, she hits her target. Over-the-top cat lovers are pitted against the truly paranoid and, of course, what results is a tie for last. Darker themes are woven into the collection. A story about sudden infant death syndrome is rendered in lyric form, the setting taking us back to a time when cross-Atlantic travel meant boarding a ship. A young couple spends weeks enjoying Paris only to return to find their son gone, his caregivers having decided not to ruin their trip by relaying the news. The wife’s grief takes a different path than her husband’s. “Where r u text me pls” begins as a typical exchange between an annoyed mother and her teenage daughter. An almost zany energy starts the story—mom is doing her best to hang on to what authority she has left—but as time passes and her daughter’s messages become more elliptical, annoyance turns to fear to a recognition that, yes, tragedy can visit one’s family without warning. The lightness of the story, achieved by its texting format, belies a much more serious theme. Halpern’s collection is, as its title suggests, about the different ways we love and the different ways love wounds us. Although Mildred is a rollicking tale of babysitting gone comically wrong, the underlying theme—that trust is a commodity—resonates with our current zeitgeist. Trusting a a caregiver is made difficult at a time when stories of abuse are just a click away. Halpern’s collection asks us to admit love’s hazards are a part of life and to smile and wave at them anyway. Surviving Love ($22), is available at Argo Book Shop, The Word or by emailing klume@normbazar.com. 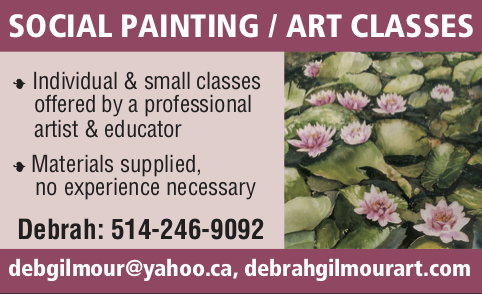 Irene Ogrizek and Sheryl Halpern teach English at Dawson College. Be the first to comment on "Book review: Surviving Love"